This site is operated by SnorBan DK ApS. We are registered in Denmark under company number 31276071 and with our registered office. Note: Please contact us via email for an immediate response. This takes priority over telephone calls. SnorBan DK ApS was formed in 1996 to help snorers and their bed partners to end the nights of disturbed and lost sleep, to end the bad feelings that often develop and to help them return again to peaceful nights together. 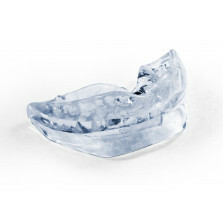 The SnorBan mouthpiece was developed to help chronic snorers and their partners find an affordable way to stop snoring. Only SnorBan® is the original scientifically tested solution for snoring, recommended by medical experts (see research).